Managed by owners, Trevor and Kathy, Erin is a child and pet friendly Farm Stay near Middelburg on the Eastern Edge of the Great Karoo, the vast central plateau of South Africa, with landscapes on a grand scale, sweeping skies and wide horizons.<br /><br />Conveniently situated 10 km south of Middelburg in the Eastern Cape, midway between Johannesburg and Garden Route / Cape Coast and directly off the N9, Erin offers perfect en-route accommodation for a tranquil farm stay with wonderful vistas, champagne air, magical African sunsets, as well as star-studded night skies.<br /><br />Erin offers relaxed, unassuming and comfortable pet friendly accommodation in Middelburg, Cape. With six accommodation options (some inter-leading and ideal for group stays), all the units have fans and heaters but not air-conditioning. 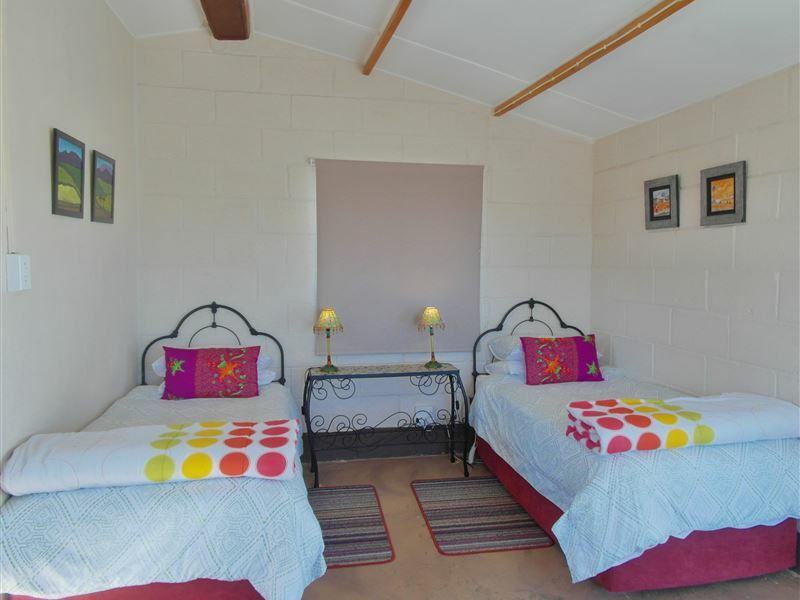 Four of these units are fully equipped for self catering. 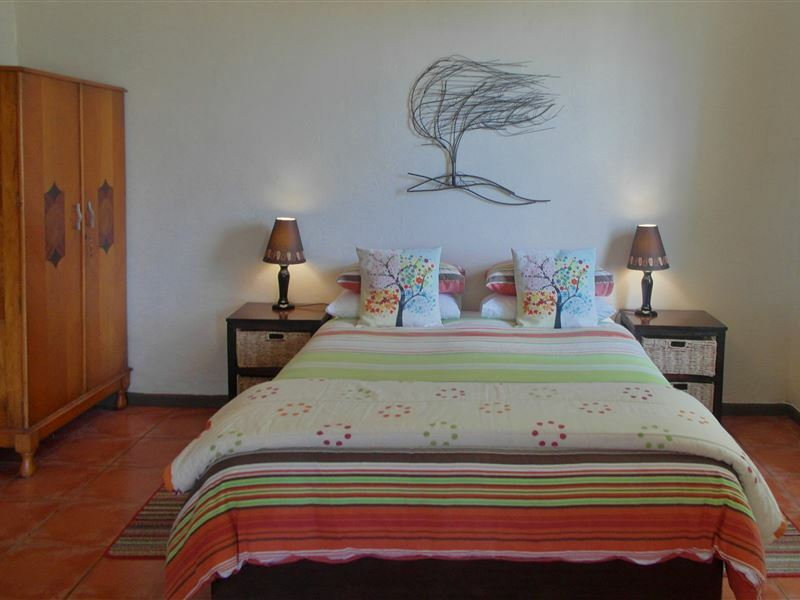 There are no televisions or radios in the rooms, so guests can have a break from the rat-race and unwind while appreciating the fresh air, space and serenity.<br /><br />At the end of day, marvel at the multi coloured sunsets which dim over Renosterberg Mountain and later, watch the dazzling display of stars in the velvet night sky as the Milky Way arches above like a spray of diamonds - and if you are lucky, you may be able to wish upon a shooting star!<br /><br />Enjoy a traditional Karoo dinner or farm breakfast in the Barnyard dining area which has views over the veld and Middelburg mountain landscapes. All meals are served by prior arrangement and breakfast is served from 07h00. Erin is not licensed, so we suggest you bring along your own alcoholic and soft drinks.<br /><br />Erin Farmhouse does not have a swimming pool. "well equipped, clean and professionally managed establishment. 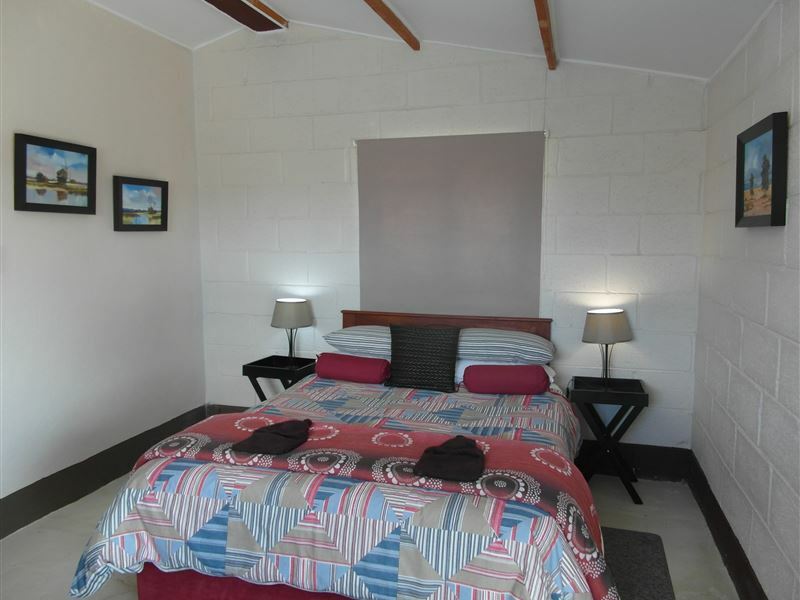 very peaceful,quiet and conveniently located." "It is a tranquil environment that provides rest for your soul. Thank you so much." "The old farmhouse was enchanting"
"Safe and secure for my dogs- didnt have to keep them on a leash. Very quiet and very clean"
"Beautiful sunset and big sky filled with stars!" "sitting in the Bluegum Grove listening to the birds"
"Loved the silences and peace from a hectic day of travel. The Awesome Shower and Bathroom"
"Simplicity of facilities, yet it catered for all our needs." "Very good food ,loved the Roostekoek for breakfast . Very welcoming host." 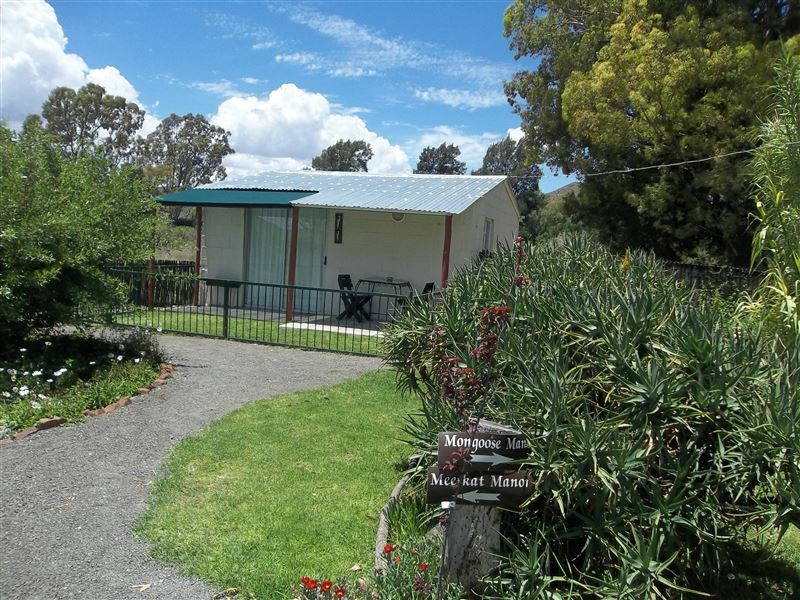 "Beautiful setting in authentic Karoo accommodation"
"Warm friendly reception by gracious hosts"